Hi everyone, I'm brand new to CoffeeSnobs and I'm looking at purchasing a Breville BES840 or BES810. Please advise which would be the best option as we don't want to spend a huge amount of money but really want to drink great coffee. We also would like our coffee experience to be fairly easy. At the moment we have a Nespresso U Pod Machine, which was a gift and we also have a Breville Bar Vista, which is very old. My husband refuses to use the Nespresso machine because he loves to make a REAL coffee. I use the Nespresso because it was a gift to me, however I know the coffee isn't great compared to using freshly roasted, ground coffee beans. I'm also fed up with having to buy Nespresso Pods all the time to have a mediocre coffee. Hence, we're now looking to consolidate into one machine instead of two coffee machines sitting on our kitchen bench. Any suggestions for a machine under the $600 mark would be awesome. Does that $600 budget have to buy a grinder as well? It's very important to know as a $600 machine paired with say a $500 grinder puts you in a totally different market to what you'll get if the $600 is for both. Your husband sounds a right 'snob and that's how it should be! Depending on your answer to Leroy, many here would suggest you consider a second hand rancilio silvia and rocky grinder combo - while theyre popular and long lived, snob upgraditis is a serious condition, meaning they often get rehomed when still young. Last edited by WantRancilio10; 29th July 2015 at 10:12 PM. I hear you WantRancilio10. I'll look into those options you suggest. Thank you so much. If you're located in Sydney, this may be of interest. Yes I was thinking the same. What's your 'basic grinder'? If it's a small conical burr grinder like a Sunbeam EM0480 or Breville Dose Control or Smart Grinder then that will be fine to start with. Nothing less will do though. Blade and flat 'burr mill' grinders like an Emide just aren't cut out for espresso. I think we're assuming you like to texture milk with your coffee. If milk isn't important, then your budget situation looks much rosier as you may not need a 'machine' (eg consider behmor brazen instead) and a lesser grinder may also be ok.
Last edited by WantRancilio10; 30th July 2015 at 11:00 AM. Yes, we do love our Cappuccino and Latte as well as Espresso. It looks like we might need to invest in a Grinder. We like to buy beans from our local Coffee Roaster (support local business), also is delicious coffee,and they grind them for the Espresso Machine then we keep them in the fridge. We also love to go out for coffee but want to have cafe quality quickly at home. We don't have the budget for an expensive machine. Really just want to buy a good machine to get the two old machines off the bench. Ok so it looks like your current grinder isn't good enough to handle the step up. 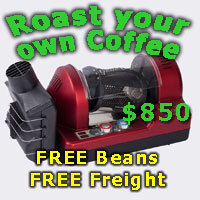 With a budget of $600 for machine and grinder I highly recommend you look at second hand options. It's probably a bit more overwhelming for someone just starting out, but if you buy off Coffee Snobs rather than the mine field that is eBay you're more likely to get equipment that's been looked after properly. It may have even had a recent service and you'll be able to ask advice on here about anything that's currently on offer. This is probably the only current listing that could work for you. You'd still need a grinder, but finding a 2nd hand Sunbeam EM0480 or Breville Smart Grinder for around $100 isn't too hard so it's worth considering. The Sunbeam EM0480 might be a bit marginal. Okay with a 6910/7000 but I understand not recommended to be mixed with fussy silvia. So basically you wouldn't recommend a Breville BES810 or BES840. You believe that an Italian machine would be much easier to use and better quality espresso? To be fair, I don't know much about those two brevilles. However, apart from the Breville dual boiler (v good) Brevilles don't get much love on this site (apologies to the site sponsor!). And they're generally 'appliances' rather than proper machines - appliances are dead within a few years (so no resale value if you want to upgrade). It probably should be a single boiler rather than thermoblock. It doesn't need to be Italian. It just happens to be that Italian is often full of metal where it counts (good thermal stability) and simple in construction (not much to go wrong, easy to fix/replace components). Easier to use? No, but not difficult - just one minute of concentration and, after a bit of trial and error, much better consistent results in the cup! I haven't read this but I think you should! Thank you so much for all that information. Awesome!! It's really hard to say as your standards are going to be different to mine. I've had a slightly similar machine (La Pavoni Espresso Cappuccino) and I was pleasantly surprised with the quality of coffee I could make with it. But at the end of the day it didn't come close to my Gaggia Classic or current machine, a Brugnetti. So I wouldn't necessarily say you won't be happy, but buying a machine like this could leave you a little disappointed and looking to upgrade sooner rather than later. If you can get a 2nd hand Breville Dual Boiler (BES900 or 920) within your budget your chances of satisfaction are a lot higher. You're amazing Leroy, I'm very grateful for your advice as I feel like s complete novice, when it comes to machines, even though I've enjoyed good coffee for decades. I've been looking at the Gaggia Classic also,it has good reviews, however one site it said it was discontinued?? Could I ask you how you like your coffee? Just curious. There is a new Gaggia Classic, but it's vastly different from the old one with the biggest difference being the change to a stainless steel boiler from an aluminium one. Normally this would be a good thing, but the aluminium boiler in the Gaggias is unique and it sounds like the updated model is a bit of a dud. I don't know if it's available in this part of the world anyway. The traditional style Classic is still available new I think, but while stocks last I guess. It's a good machine for a beginner, a little bit more user friendly than a Silvia. You'll still need to put a bit of effort in, but with a bit of practice you can achieve pretty good results. It's a bit less demanding on grinder selection too so a Breville Smart Grinder Pro or similar will be more than adequate and equally user friendly. And I like my coffee strong. Most of the time it's with milk these days, but not too much milk. Black is usually only when I'm using my newly acquired syphon or pour over filter. I like medium strength coffee, not bitter! Like my guests last night, our coffee was a bit mild for them. I think I get good results, everyone who drinks my coffee says complimentary things. Coffee machine was $100, plus a new thermobloc I got for $40.00 from a repair agent. A new theral fuse a bit later on, about $50.00 fitted by the repair agent. Some on here say it is a good combo without going to spend megabucks. But like all things, it is understanding how to get the best out of your machine. And I'd say, buy a system, start experimenting and come back ask questions. Real helpful people on this site. Just thought I might add my two cents worth. Sounds like there's plenty of good advice around here. I was sought of in the same situation a year or two ago, was sick of drinking perculated coffee and a herb and spice grinder with baldes. Was also not wanting to spend a lot, so after researching etc came up with a nice little setup which is cheap and makes a lovely little brew. Firstly got my hands on a year old Saeco Via Venezia for $100 used a non pressurised portafilter and then purchased a bcg800 grinder for around $200. Of course it also helps having great coffee, storing it well and if you have it with milk, make sure it is very creamy. This is just my opinion of course bit some of these things help no matter what machine or grinder you have, good luck. Thank you Scotty for your reply. Great advice. An update on the BES810 - I grabbed an ES810 which came with a BCG400 grinder a few weeks ago. The coffee is quite repeatable, with PID brew control and an auto purge after steaming to chill it back down to the brew temp. 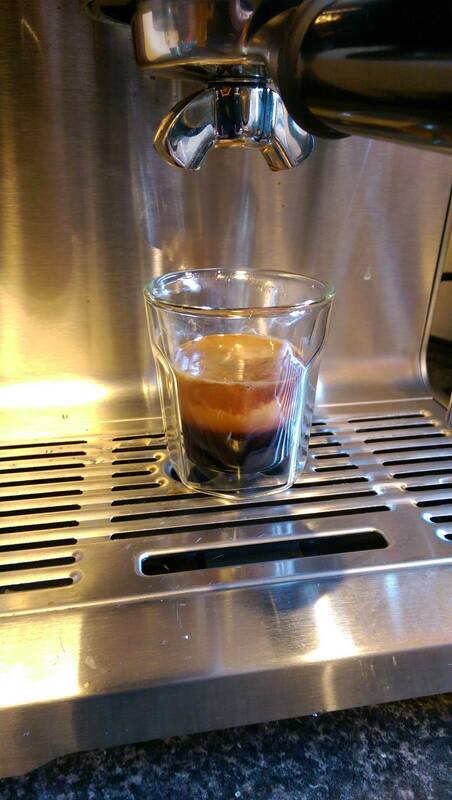 You cant adjust temperature, and the extraction is fairly manual, but for me it works pretty well.